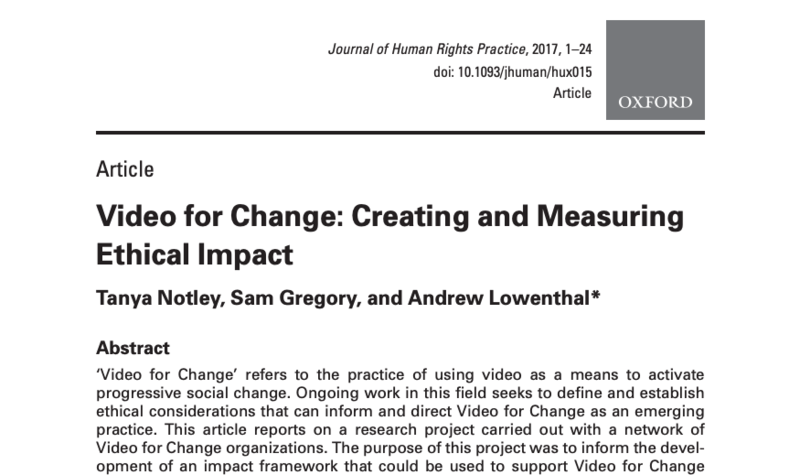 A collaborative paper by Tanya Notley, Sam Gregory (WITNESS) and Andrew Lowenthal (EngageMedia). A collaborative paper by Tanya Notley, Sam Gregory (WITNESS) and Andrew Lowenthal (EngageMedia) published in Volume 9 of the Journal of Human Rights Practice, Oxford University Press. Access the paper here or download from here.